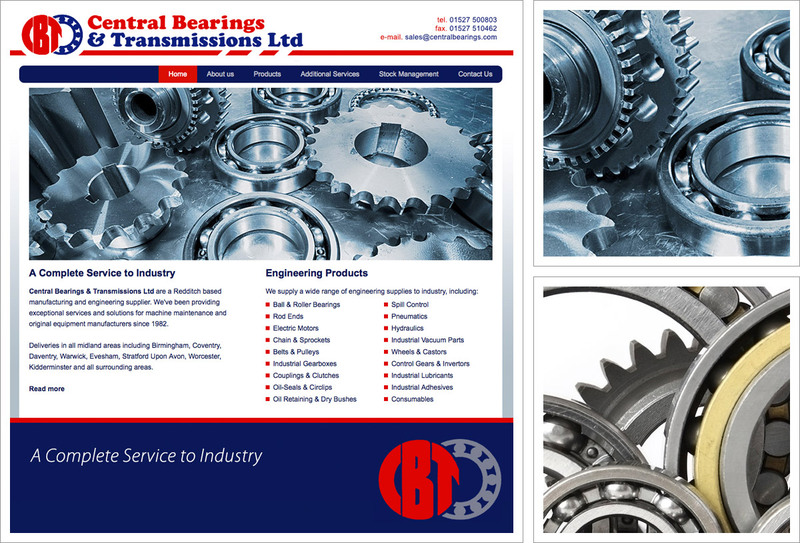 A small, brochure style website for Central Bearings and Transmissions, a Redditch based engineering company. The website will be used by their customers and prospective customers and also as a sales support tool by their workforce. The existing Central Bearing logo was used, a horizontal navigation bar, basic optimisation, pages for products, services and stock management and a secure online contact form. The website is can be expanded at any point in the future and this is a great start for Central Bearings. Read more about Central Bearings on our web design latest news.